allowed schools to hold fall baseball tryouts. By getting rejected from the GHSA's Baseball Committee, the proposal failed to make it to the Executive Committee, which would have voted on the proposal during its spring meeting on Monday. In order to give schools who have baseball players who play a fall sport or a baseball coach involved in coaching a fall sport, two options were proposed. The first was to allow high school teams five consecutive school days from the start of the school year until the end of August. The second was to have three designated Saturdays during the fall semester with each day consisting of no more than five hours. It was the second time the idea has been proposed recently and both times, the GHSA Baseball Committee has rejected it. Billy Nicholson, the Georgia Dugout Club President, presented the proposal. "My phone has not stopped blowing up from coaches around the state now that word of the Baseball Committee's vote has gotten out," Nicholson said. "Everything from disappointment to anger to lost for words are the things I have heard over and over again. It is that popular of an issue for baseball coaches in this state. "There were 258 baseball coaches out of the 412 baseball-playing schools that cast a vote, and 95 percent of the votes cast were in support of it. This was not a proposal brought before the GHSA Baseball Committee by just a small sampling of coaches as proposals were done in the past, or a proposal that was desired by a certain area of the state. Rather it was a well-thought out and researched proposal from baseball coaches represented all over the state from all classifications. There were many hours put into the proposal through research by several coaches." Nicholson added that famed orthopedic surgeon, Dr. James Andrews, wrote a letter of support in support of fall baseball tryouts in Georgia. He also said that several bordering states have fall baseball tryouts and the process has worked well for them. 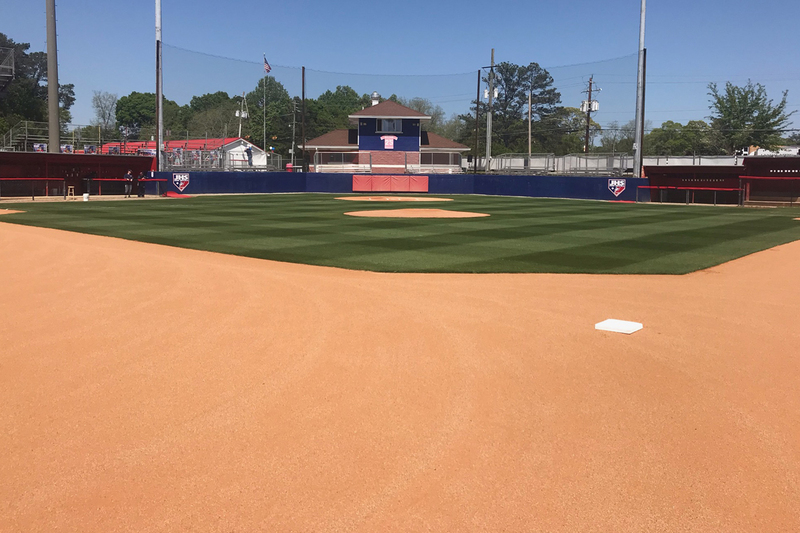 "Even with all that and the disappointment expressed by coaches from the around the state, at the end of the day, we must respect the GHSA Baseball Committee's decision and the process they use and move on. As important as this issue is to many baseball coaches in the state, I am sure it will come back before the committee again down the road." According to Nicholson, fall sports like softball, volleyball and cheerleading have tryouts during the spring. GHSA officials were in meetings on Monday, and a comment wasn't immediately returned. Schley County baseball coach Chuck Cheek said he understood there were some concerns. "But the positives for our athletes would trump those concerns, at least in my mind," Cheek said. "There were two different options for tryouts - schools could have picked which worked best for them. Our president, Billy Nicholson, did a great job organizing our thoughts, polling the coaches across the state and gathering expert opinions from people like Dr. James Andrews." Cheek added the a fall tryout would be better for the health of pitchers. "We could have tryouts when it's still warm and they are coming off of summer ball and their arms are in shape, or have tryouts in January when it's freezing and the guys haven't been playing ball for three months. It's a no-brainer to me. That's just the player benefit. Coaches would benefit as well. We would know our team, be able to order uniforms/practice gear in a timely fashion, help with fund-raising, etc."